 At Gipman Kitchens & Cabinetry we are dedicated to providing our clients with the best quality cabinetry at competitive prices. Our mission has always been and will always be about quality. We are passionate about using the finest materials and manufacturing with great care. That is why we choose Hettich for our cabinetry hardware. 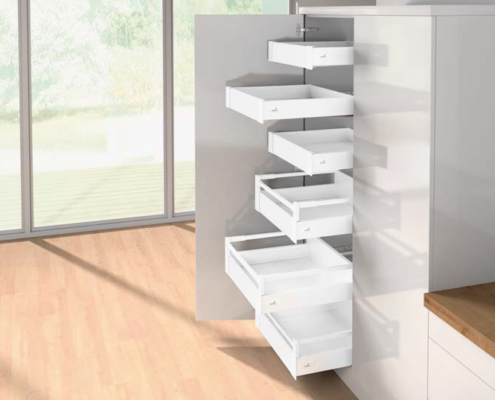 Based in Germany, Hettich Hardware is an award winning global hardware manufacturer. Their innovative solutions have positioned them as one of the top hardware manufacturers in the world. We have been using Hettich Hardware for over ten years, we have tried and tested every hardware system out there and nothing compares to Hettich’s lifetime warranty and product quality. Hettich values the end user (that is you!) of their products and is consistently setting the precedent in the industry with hardware that is sleek, functional, practical and effortless. 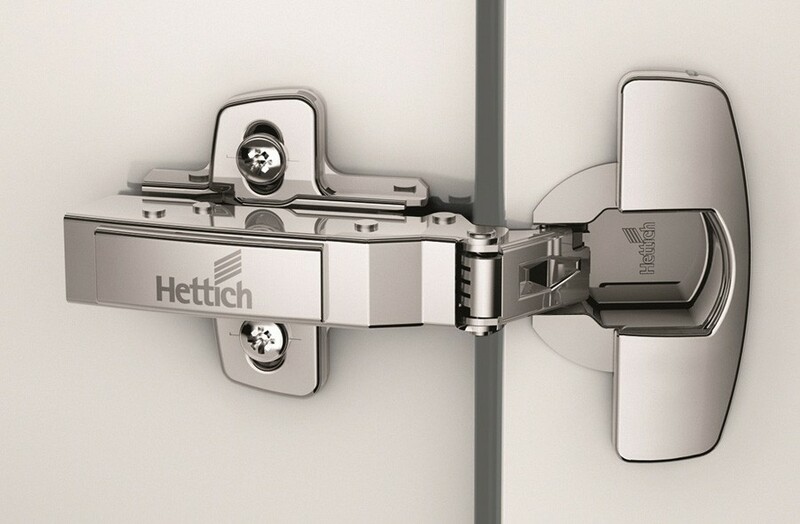 Hinges from Hettich are the heart of good cabinet doors: innovative, reliable and long lasting. They provide top quality as well as clever mounting and adjustment capabilities. 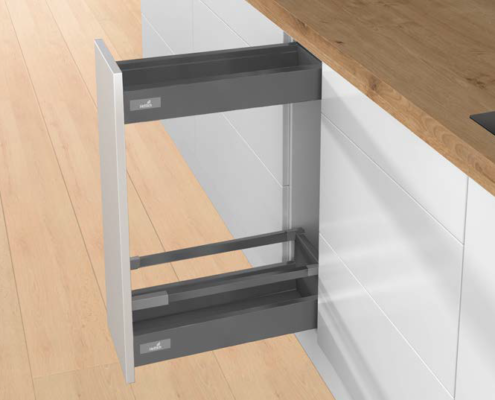 The multiple award winning Sensys hinge has revolutionised the world of hinges with its invisibly integrated Silent System. Sensys, the hinge technology with integrated Silent System for even more convenience when closing hinged doors. With its uniquely wide automatic closing angle, Sensys closes the door almost completely on its own. Innovative, smooth, gentle, quiet. 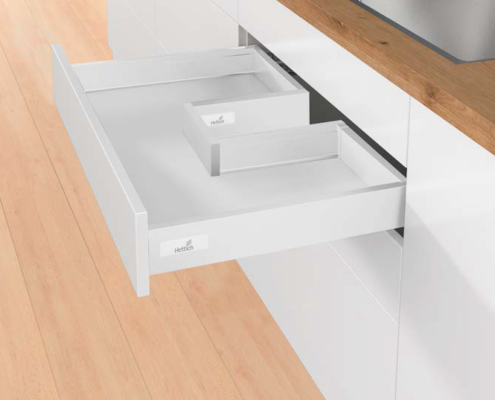 Convenience boost in award winning design from Hettich. Close your cabinet doors with less effort. Simply close the door to 35 degrees and the hardware will do the rest. Integrated soft-closing mechanism means no cheap clip on attachment that can fall off or wear out. 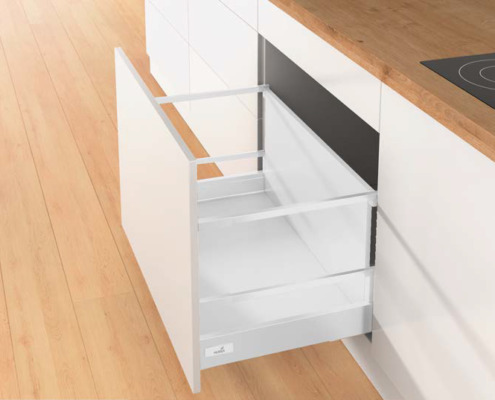 The stay open feature ensures that your cabinet door will stay put when opened wide. You never have to worry about bonking your head! Images courtesy of Hettich Canada. For the kitchen, bathroom bedroom, living-room, office. Ingenious concept for systems to suit any application. Convenient, sturdy, smooth running, attractive. Stability, long life and operating convenience of the Quadro principle: high precision runners for harmonious, smooth running action. 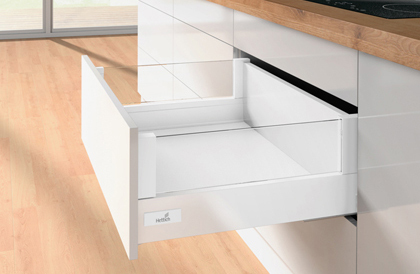 Elegantly concealed underneath the drawer bottom panel. Optional push to open components. 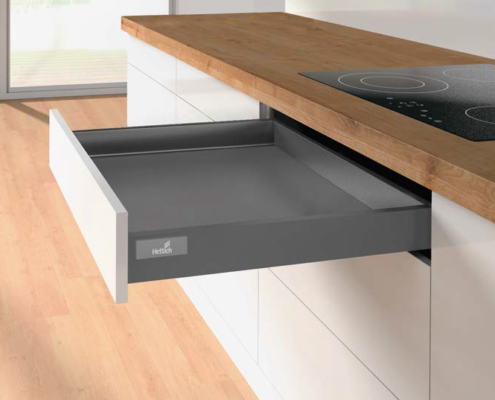 The drawer system InnoTech Atira makes a feature of its fullness of character and in doing so offers individual potential for creativity.